On a dive in the Similan Islands, I saw a sea turtle at rest on a rock, amidst coral and schools of brightly-colored fish. As I drew closer, it swam effortlessly away, cruising through the ocean with its powerful flippers. 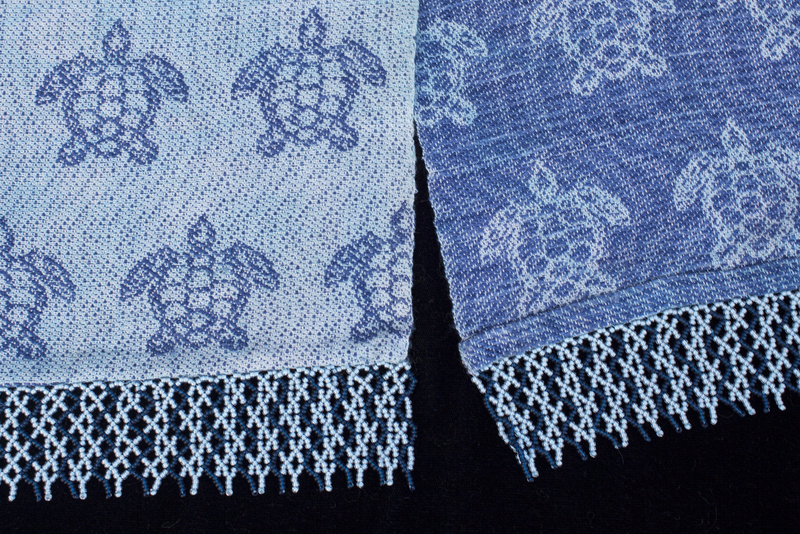 I wanted to capture its grace amidst the undulating currents in a woven piece. 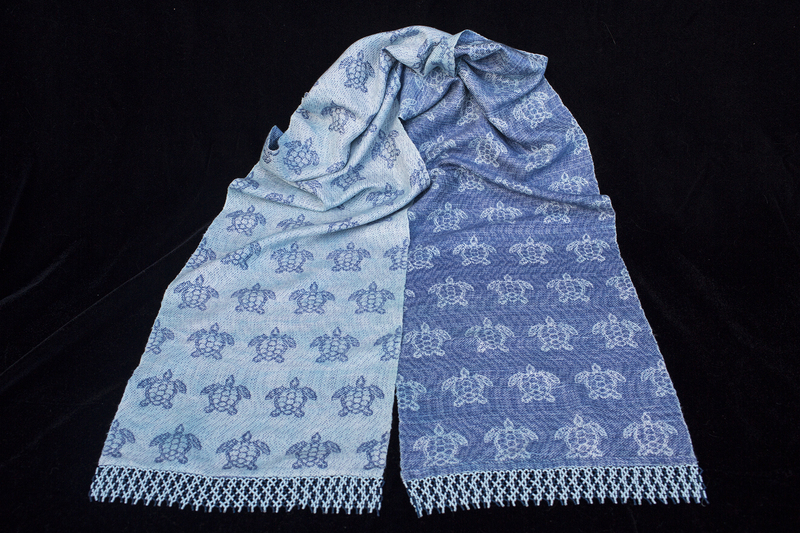 So I wove a scarf with blue sea turtles and blue ripples against a pale aqua background, then overdyed it, using a slightly darker shade of turquoise to add a sense of motion. The beading is a simple netted fringe, but alternating pale aqua and indigo beads to give the impression of ripples in the beading.